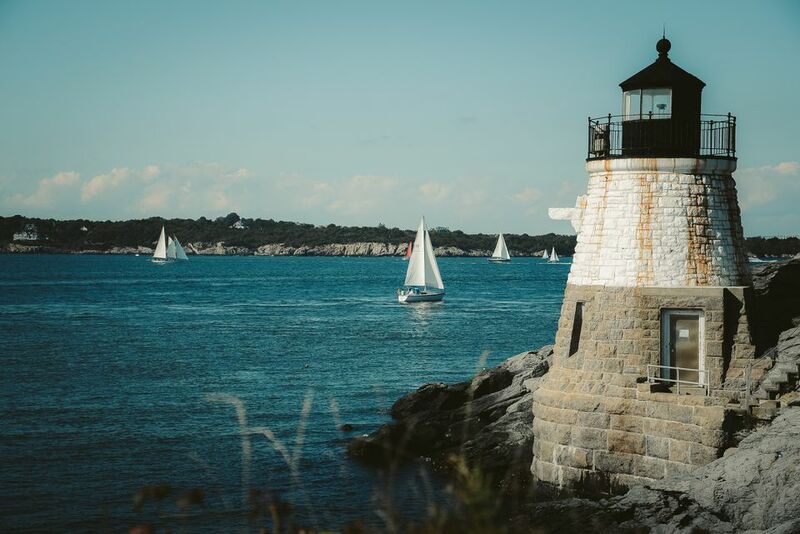 If you live in Rhode Island, you're lucky. Residents of the Ocean State residents can participate in the recreational shellfish harvest without a license. 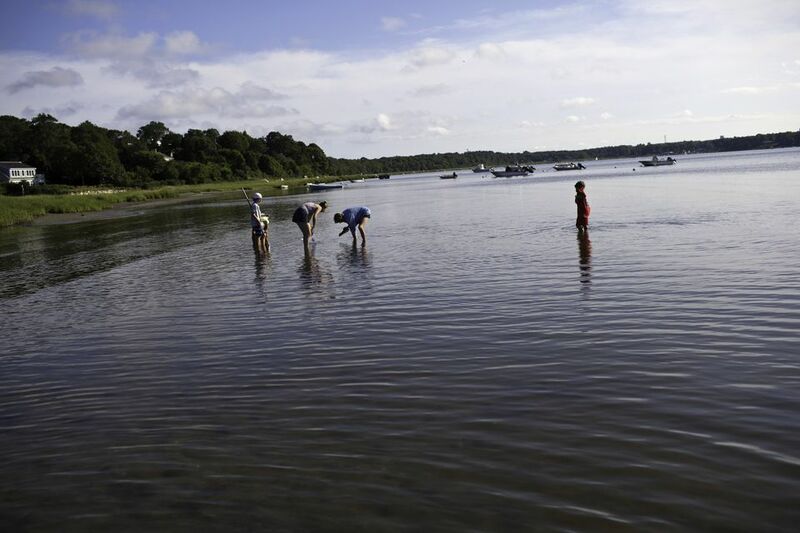 Non-residents who want to try clamming must purchase a​ ​Tourist Shellfishing License. Both residents and non-residents are subject to daily catch limits. Before you head out, pack a sturdy trowel or hoe. You don't need to invest in a clamming rake. One of the best places to go clamming in Rhode Island is Point Judith Pond on the Galilee Escape Road in Galilee. You can look online for a round-up of shellfishing locations in Rhode Island to determine where you can dig for clams and oysters. Remember that the state's oyster season is September 15 – May 15. Be sure to heed any posted warnings about the ​​closure of shellfish grounds due to pollution. The best time to go clamming in Rhode Island begins about an hour before low tide. Shellfishing between sunset and sunrise is prohibited in Rhode Island, so there is essentially one window of opportunity to hunt for clams each day. But clams still need access to the watery surface. They extend their pair of siphons—one for food intake and the other for waste expulsion—up to the surface. The holes these siphons puncture in the mud and sand are your clue a clam may lurk beneath the surface. Which Quahogs and Clams Are Keepers? You can't keep every clam you harvest, and it's not just because there are daily limits. There are shellfish minimum sizes in Rhode Island. Be sure to review these rules before you head out. Also, keep in mind that your tourist shellfishing license does not allow you to sell any of the clams you find. Only harvest and keep the clams you believe you'll be able to use in about a 24-hour period.